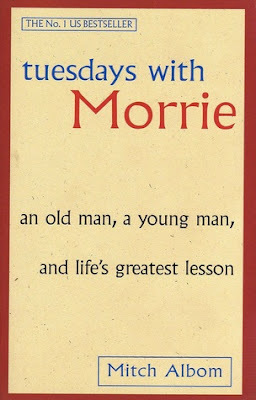 As the cover rightly states, Tuesdays With Morrie is a book about an old man, a young man and life's greatest lesson. Morrie Schwartz was no super hero, no celebrity either rather he was a "small man who takes small steps, as if a strong wind could, at any time, whisk him up into the clouds", who had been a Professor when the author Mitch Albom was a student at the Brandeis University. 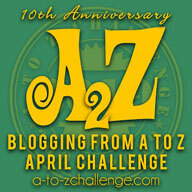 Then the question arises, what was it about him that made Mitch think that he was worth writing a book about? The answer to that question is that he didn't think any such thing. Morrie's only claim to fame had been an appearance on a show called Nightline and it was through this that Mitch came to know that his old professor whom he had not met for some twenty years was dying of ALS. It saddened Mitch and he decided to meet him. What was initially a reunion of an old professor and his student became a final lesson on life's complexities. I was touched by Morrie and his optimistic approach towards life. He was brave, lively, sensitive, compassionate and someone who knew how to break life's complexities into simple steps. "People see me as a bridge. I'm not as alive as I used to be, but I'm not yet dead. I'm sort of... in-between." "I'm on the last great journey here - and people want me to tell them what to pack." His appearances on TV where his way of reaching out to people all over the world and giving them hope. His mantra "When you learn how to die, you learn how to live." was something that he wanted people to know. Morrie was a brave man, a compassionate man who knew the value of time and even in his last moments chose to make himself an example where others could see and take his lead to live fully even in the face of death like he was doing. Mitch and Morrie subsequently spent the next sixteen Tuesdays together exploring many of life's fundamental issues like Death, fear, aging, greed, marriage,family, forgiveness,society,a meaningful life. Morrie was giving his last lecture while Mitch was writing his final thesis. Even when dying Morrie was imparting his wisdom to people around him. He was truly "A Teacher to the Last". Mitch has captured Morrie's deteriorating condition, his courage and his zest to life in a simple yet captivating way. The reader feels myriad emotions while reading the book from happiness to acute sorrow, from evaluating one's own life to planning the future on Morrie's principles. The scene that specially stuck with me was the one where Morrie tells Mitch about the place where he has planned to be buried and asks him to visit, telling him to make it a tuesday as they are "Tuesday people". "After I'm dead, you talk. And I'll listen." "I look back sometimes at the person I was before I rediscovered my old professor. I want to talk to that person. I want to tell him what to look out for, what mistakes to avoid. I want to tell him to be more open, to ignore the lure of advertised values, to pay attention when you loved ones are speaking, as if it were the last time you might hear them." He also accepts that he cannot "undo" the past but one thing that he learned from his professor was that there is no such thing as "too late" in life. Morrie was changing until the day he said good bye!! The book left me wiping my tears and left me with an acute sense loss and of re-evaluation of my life. The things that we take for granted like a normal day was something that had become just wishful thinking for someone like Morrie who could not even wriggle his toes at his will! The book, Tuesdays With Morrie deserves a 5 out of 5 and Morrie is someone who will always remain in the memories of thousands of people to whom he gave hope and introduced them to a path of happiness and contentment. I respect him and hope his message reaches far and wide. Do read the book, for Morrie's class is a success! !